Our brand new magazine is here! Issue 1 includes our New to Cruise Special, The Rise of Asia, The Food Hero and more! 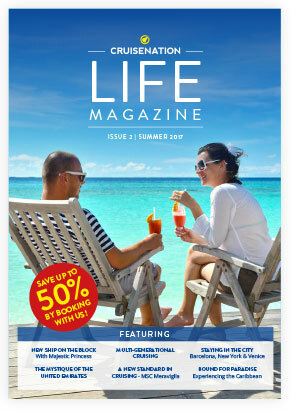 Issue 2 - featuring exclusive deals, a new ships feature, destination inspiration and much more!